What Should I Take Pictures Of If I Am In A Bicycle Injury Accident? Always take pictures of the accident scene, street signs and lights, important landmarks and vehicles/bicycles involved, and the damage done to them. Here's What You Should Snap at an Accident Scene! Photos can be useful to build a bicycle accident case. They are important because evidence after the accident will be lost as people leave the scene, repair their cars, and injuries heal. If you are in a bicycle accident, have someone take photos of the following: the accident scene, including street signs, landmarks, vehicle/bike/gear damage and traffic control signals, all from many angles. Here's What You Should Focus on as the Healing Begins! Accident scenes may change depending on construction or the time of year. Having photos will ensure an accurate portrayal of conditions at the time of the accident. You should take pictures of injuries, both initial and throughout the treatment and healing process. Take pictures of the victim in the hospital and of required medical equipment. These photos show the extent of injuries and are more convincing than doctor’s words. 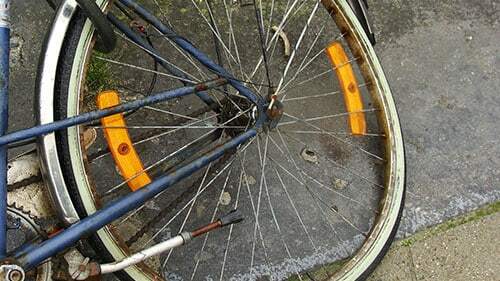 What Else can You use to Help Victims and Yourself After a Bicycle Accident? Many Chicago bicyclists are utilizing video cameras on their helmet or handlebars. These small video recorders record crucial information leading up to the collision and the moments following. Understandably, these videos can have an impact on insurance adjusters and juries when they see how a bicycle accident happened in ‘real time'. What's the Point of Capturing all This Information? Wondering What You Should do After an Illinois Bicycle Accident? Rosenfeld Injury Lawyers LLC comes in immediately after accidents and helps victims and their families do everything necessary to preserve their rights. Plus, we can represent you on contingency which means you don't pay if we don't win. Call our offices today and Rosenfeld Injury Lawyers LLC can tell you exactly what to do.